Shorts for girls in different prints and colours. Every bikini has matching shorts.. A short pair of shorts over your bikini on the beach is totally hip. 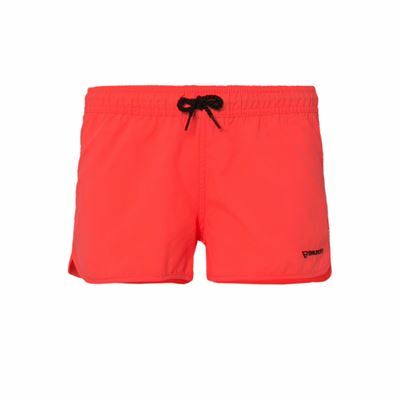 Shorts come in different lengths, varying from ultra short shorts to longer models. We offer an extensive collection of kids clothes. Shorts for girls are only one of many items in our collection. Shorts for girls have an athletic look. They are nice and airy garments to wear on summer days, and easy to combine with shirts or tank tops. 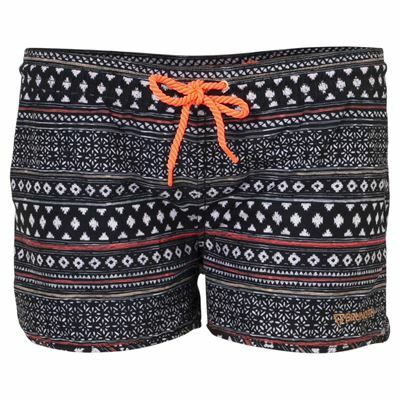 Shorts can also be used for swimming. To create a surfer look, wear a bikini with your shorts. 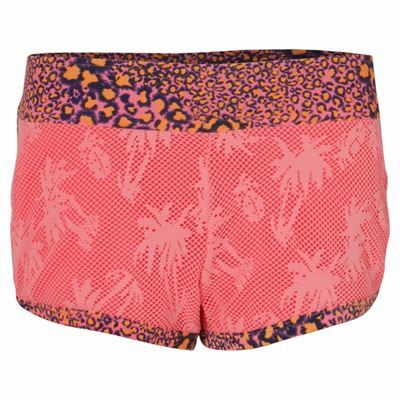 Of course, for an extra surfy look, it's nice if your bikini matches your shorts. We keep this in mind when designing our collection. 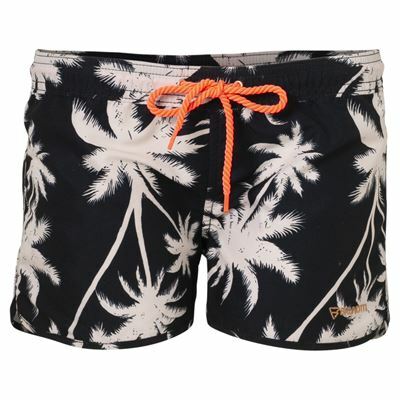 Shorts are available in different lengths and with several colors and prints. 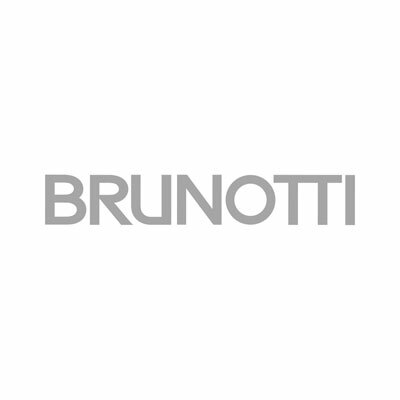 At brunotti.com you can find the largest online collection Brunotti shorts for girls. Here, you can also see which items go best together. When it comes to kids' clothes, comfort is as important as style. Clothes for girls should be able to take a little rough play. 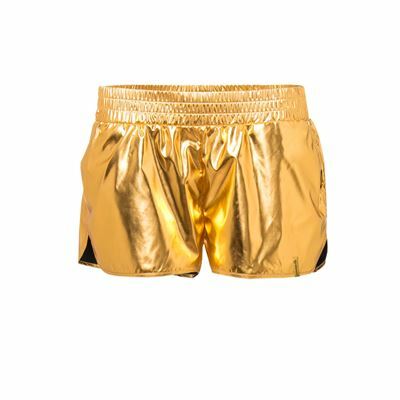 As previously mentioned, shorts for girls are also suitable for swimming, so they are made of a quickly drying material. Usually, the fabric used for shorts is polyester with a waterrepellent layer. 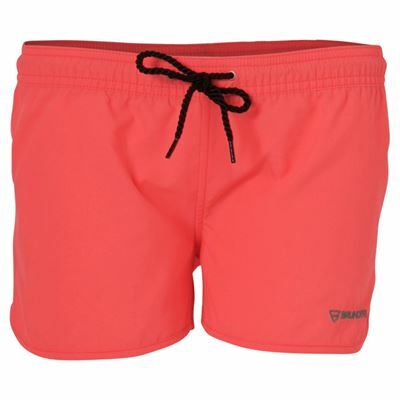 Shorts have an elastic waist band with draw strings. he inside and outside of shorts usually have one or multiple pockets. These can be used to stash all kinds of things, and also add to the cool look of the short. The length of shorts may vary, but they always reach to or above the knee. Lately, swimwear for kids has been dominated by a couple of trends. 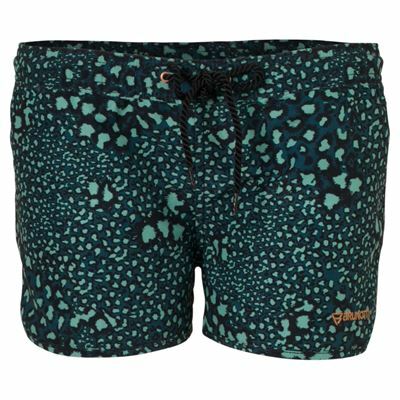 Shorts have become an important addition to general swimwear collections. 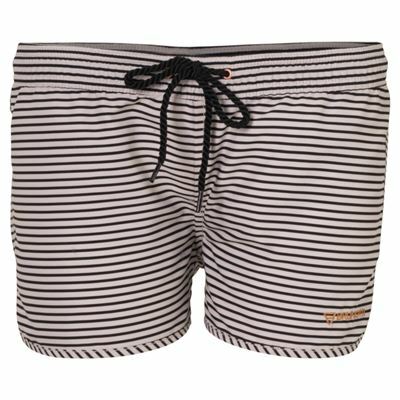 Girls like to wear shorts with their bikinis to create a surfer look, for example, which is both comfortable and practical. Just put on a shirt and your outfit is complete. Shorts can also be worn casually with a tank top or t shirt. When the sun goes down, a sweater also goes well with your shorts. Throw on a pair of flip flops and your look is complete. To protect yourself from harmful UV-radiation, wearing a hat or cap is advisable, and it also looks great. All these Brunotti clothes for girls can be found at brunotti.com. You can see right away whether your size is still available, and which other items might be right for you. This makes assembling a complete look very easy. In the Brunotti online shop you can find a wide range of kids' clothes for girls. Our collection includes girl shorts in different lengths and colors, and with several prints. You can see right away whether your size is still available, which avoids disappointment afterwards. Placing an order is easy, and anything can be purchased securely by paying with iDEAL, PayPal, Visa, Mastercard or through authorized payment. If, in the end, you are dissatisfied with your purchase, you can return the item in its original packaging. You will have the option between either receiving a refund, or trading in the product for something else. 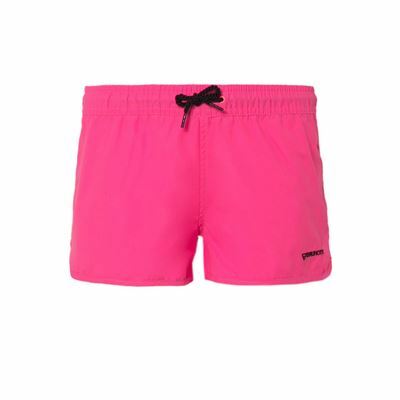 In the outlet store there are still some shorts for girls available with great discounts.